Repeater Mode easily boosts wireless range extender to previously unreachable or hard-to-wire areas. 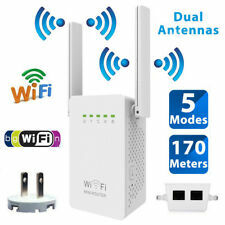 Allows wireless signal to reach through walls and windows. 1x Wifi Repeater. Two Ethernet ports (WAN & LAN) allow the Extender to function as a wireless adapter to connect wired devices. It features an integral F Female connector. It is typically used with 75 Ohm coaxial cable such as RG59, RG6 and RG11. 2G, 3G, 4G and LTE Cellular Applications. It can be used outdoors as a building antenna for improved access to cell tower signals for indoor amplifiers and boosters. The Verizon approved high performance indoor/outdoor 4G LTE signal booster antenna includes an indoor stand and wall mount, and a low loss 10’ dual coax cable with SMA connectors. 317.50mm x 164.7mm x 12.7mm. 1 x 850MHz Repeater. - 1 x Outdoor Yagi Antenna. Signal using a small power cover-age within building will be more uniform, reduce the cost of inputs. The repeater works with two antennas (included in the kit). 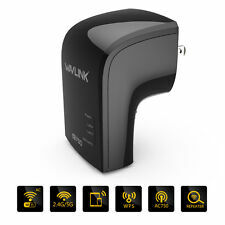 The Wavlink N300 Universal WiFi Range Extender is designed to conveniently extend the coverage and improve the signal strength of an existing wireless network and eliminate dead zones. Small size with better performance and wider coverage! Your device should be located: Where you have a strong signal from a cell tower, typically near a window or outer wall. Near an electrical wall outlet. If using an existing phone, unplug it from the wall jack. 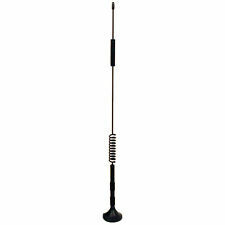 This log periodic yagi antenna is weatherproof and includes pole mounting hardware. 2G, 3G, 4G and LTE Cellular Applications. LTE, CDMA, GSM, UMTS, AWS. It can be used outdoors as a building antenna for direct access to cell tower signals for indoor amplifiers and boosters. This high performance omni antenna works over the 2G, 3G, LTE and 2.4 GHz WiFi frequency bands of 698 to 960 and 1710 to 2700 MHz. 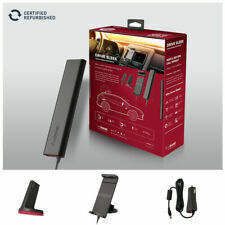 It is compatible with all major carriers. 2G 3G 4G LTE Cellular. It is designed for many years of dependable operation. Wavlink - Bringing Technology to Life. 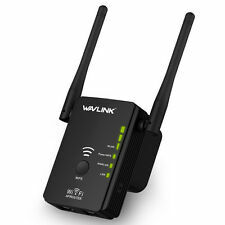 Wavlink 560N2 equipped with 2 × 3dBi internal antennas that boost your Wi-Fi coverage and reliability, helping your devices stay connected anywhere your network signal reaches. This signal boosteronly for4G LTE Verizon 700MHz. Single band 700MHz 65dB 7. FCC ID authentication certificated. Small Size, Light Weight, Beautiful Repeater. 1 65dB 700MHz Single Band Repeater. How does it work?. Authorized weBoost (Wilson Electronics) Dealer. 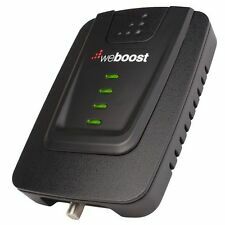 weBoost / Wilson Signal Boosters. 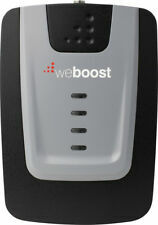 weBoost (Wilson Electronics) Drive 3G-S Signal Booster (Certified Refurbished) | 470106R. What's inside the box weBoost 470106R Drive 3G-S Dual-band Cellular Repeater/Amplifier, 301126 Mini Magnet Antenna, 859963 5V/1A Power Adapter, Instruction Manual. LTE 4G network 700MHz. Coverage in adjoining rooms will be reduced by walls and ceiling/floors. 1 70dB 700MHz Single Band Repeater. How does it work?. 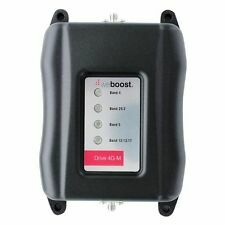 Can I use the signal booster when the outdoor signal has 0 bar?. Before purchase, please make sure your phone network's frequency is compatible with this signal booster. Return is NOT accepted if the signal booster is not effective for your phone network. 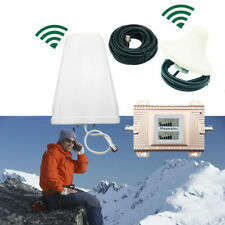 Please feel free to contact us if you need help choosing signal boosters. Specification: Brand new Frequency Range: 824-849MHz (Up Link); 869-894MHz (Down Link) Maximum gain: 60db(Up Link); 65db(Down Link) Standard Output Power: 26dbm～29dbm(Up Link); 25dbm～27dbm(Down Link) Standard Input Power: ﹣32dbm～﹣27dbn(Up Link) ;﹣38dbm～﹣37dbn(Down Link) Noise Figure: ≤5db Repeater Coverage: 50 to 800 M² Return Loss: ≤﹣18db Input Power: AC 140V - 265V, 50/60Hz Stray Radiation: ≤﹣36dbm The repeater works with two antennas (included in the kit). 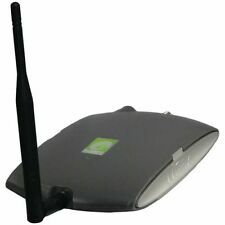 One is the indoor antenna which communicates with your cell phone o. Single band 700MHz 65dB. Small Size, Light Weight, Beautiful Repeater. 1 65dB 700MHz Single Band Repeater(without antennas). How does it work?. Can I use the signal booster when the outdoor signal has 0 bar?. Eliminate dead zones and extend your existing Wi-Fi coverage with the sleek and easy-to-use Wavlink Wi-Fi AC750 Dual Band Wireless Range Extender. With the next generation Wi-Fi standard - 802.11ac technology, the Wavlink AC750 Wirless Repeater expands your existing Wi-Fi coverage and creates stronger signal in hard-to-reach areas. Below are the minimum speeds needed to support the CellSpot Supports up to 16 simultaneous users (8 on 4G LTE and 8 on 3G/4G UMTS). Band 2 LTE (1900) and UMTS. Band 4 LTE (2100) and UMTS (U2100) - UMTS/WCDMA/HSPA. 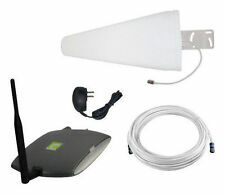 HJCINTL Cell Phone Signal Booster PLX-XWA70 AT&T 4G LTE. It's incredibly frustrating when you get a new job or move into a new apartment only to realize that your cell phone's 4G LTE isn't working correctly. Once you leave the office or step out of your apartment, you probably notice that your 4G LTE works again. eBay offers a plethora of 4G LTE boosters, ensuring that you can find the one that fits your needs, so read on and discover important information that will help you choose one. How do 4G LTE signal boosters work? These 4G LTE signal boosters work by bringing your carrier's coverage indoors as it amplifies weak signals in offices, homes, and vehicles. The distance of the cell tower is not the only thing impacting your coverage. Outdoor interferences, building materials, and weather may also interfere with LTE signals, resulting in lower access capabilities. Signal boosters amplify the existing signal after being pulled in from the cell tower. The amplified signal then boosts the signal on your device. What types of coverage levels are there? Small space signal boosters: Small space signal boosters amplify signals between one to two rooms, such as a small apartment, a bedroom, or a small workspace. Medium space signal boosters: Medium space signal boosters amplify signals throughout a whole house or small office. Large space signal boosters: Large space signal boosters amplify signals in large offices or rural, remote areas. Commercial building signal boosters: Commercial building signal boosters amplify signals in warehouses, multistory buildings, or large offices. 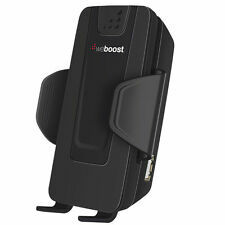 Vehicle signal boosters: Vehicle signal boosters come in two forms: cradle (to boost one wireless device) or wireless (to boost up to four wireless devices). How do you find the right 4G LTE signal booster? 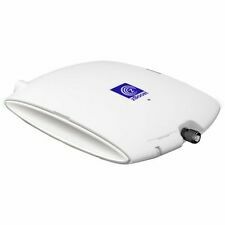 When deciding what type of 4G LTE signal booster is right for you, you should start by identifying the location where you intend on using the 4G LTE signal booster. Small spaces do not need as much signal strength as a warehouse building would need in the same situation. 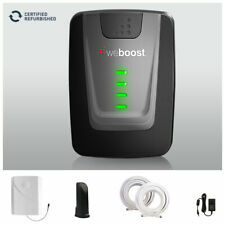 From there, determine how many people need to use the 4G LTE signal booster at the same time. It is essential to know how many devices need a signal boost as it can slow down or stop working if too many people are on a signal booster meant for one person.